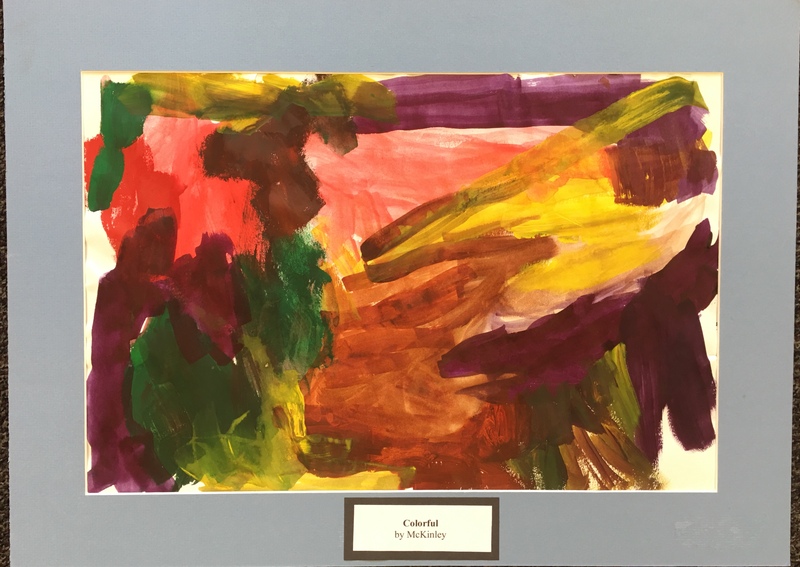 This entry was posted in art, Imagination, Inspiration, preschool, Teaching young children, The Arts and tagged art, Art and children, Cubism, Early Education, Early Renaissance, Imagination, Impressionism, Inspiration, Pablo Picasso, Starry Night, teaching young children, The Art Show, Vincent van Gogh. Bookmark the permalink. I used to do an art show in our community for a Childrens hospital. 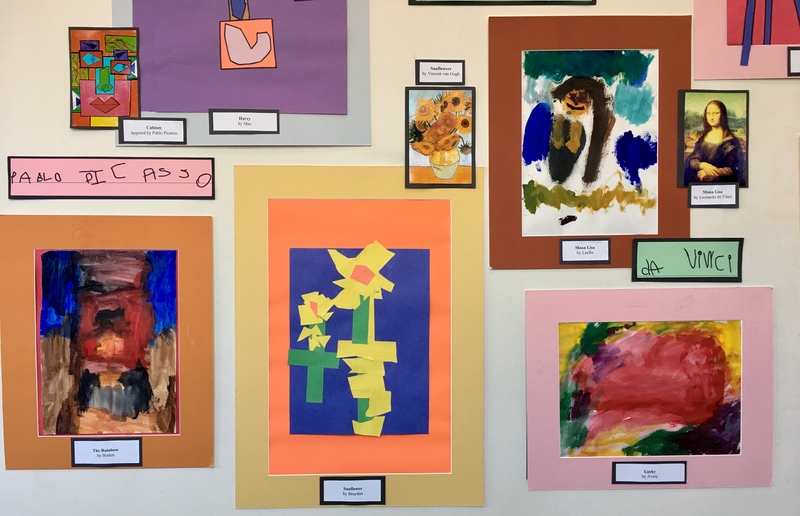 Children would complete artwork and it would be displayed at one of our community centers but people would come and buy a painting. Proceeds would go to the hospital. What a wonderful experience for the children. The subtle lesson of taking one’s creativity seriously will yield rewards for them almost forever. The idea that they produced a tangible object bearing their name and a title is magnificent. You and the children have every right to feel pride in that accomplishment. Thanks, for sharing, Jennie. Thank you, John. Yes, that subtle lesson will yield rewards down the road. I’m so glad you enjoyed this! 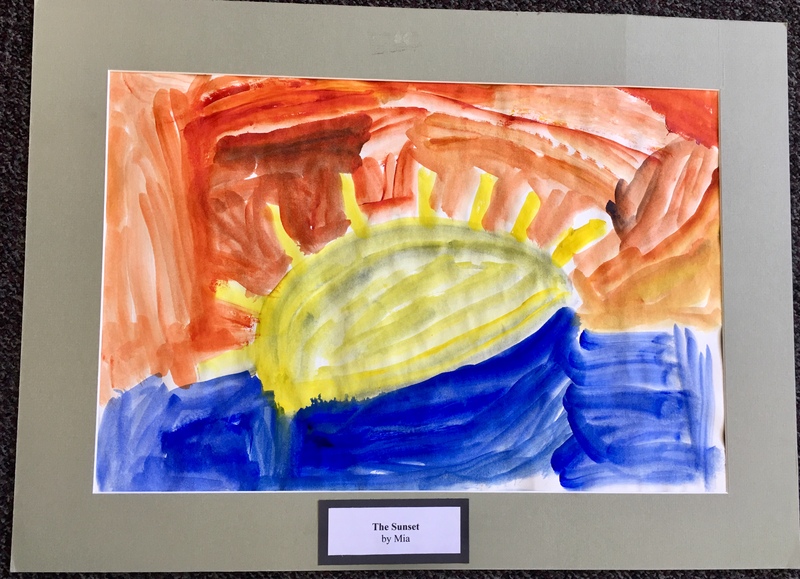 I have noticed, over my time of following your posts, that your student’s paintings often mirror the artist they are replicating so perfectly. Thank you for releasing the artists within. Most of my artists are still trapped inside….. When I do this all over again,…..this life skit…..I will pick you to be my first teacher of life. Blessings and continuous life-joy to you, Jennie! I think it is easier for children to release their inner artist at a young age. Perhaps by encouraging my students to do it, they will be brave enough to take risks and try new things as they get older. I’d love to be your first reacher, Ren. Many blessings to you! Such a great art show, Jennie. I’m sure that your students are thrilled! That is just wonderful Jennie! What a great idea! This needs to happen so much more! I think it needs to happen all the time with children. Thank you, Mireya! I think they will remember certain works of art, and remember how wonderful it was to create their own. Those two things will hopefully leave a mark. You are right, Pete. 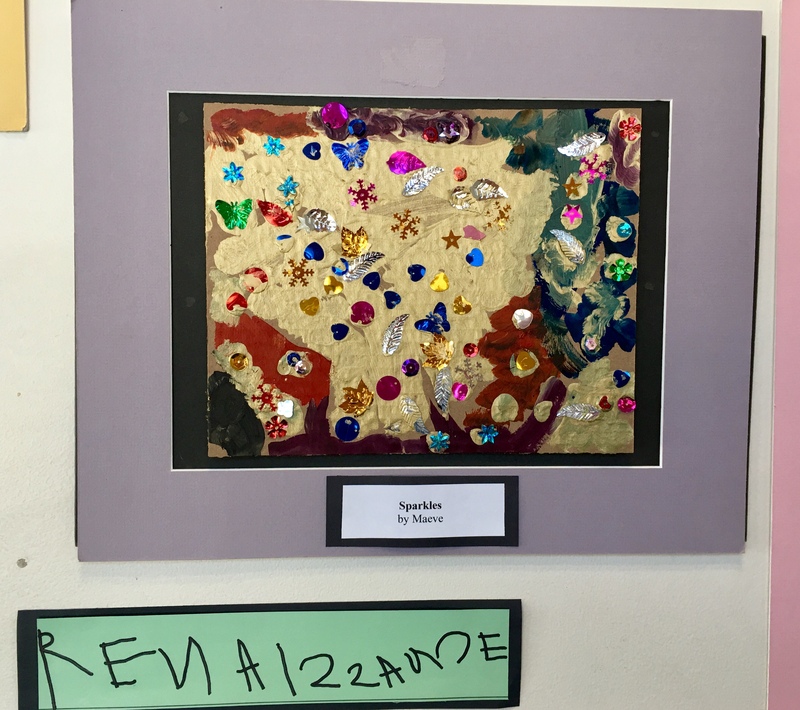 How wonderful for children to have that art appreciation and creativity. Best to you! I love how you make the kids feel proud of their work. 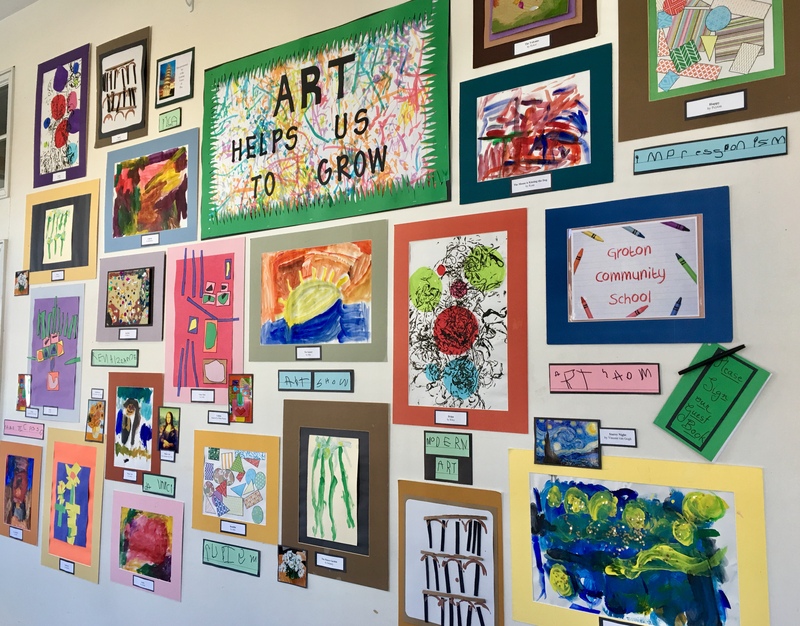 I remember how my class felt when their work was on display in the hall outside my classroom. And what a great idea for them to name their masterpieces! If only all children could feel pride and feel good about themselves. Your children certainly did. I think it makes a big difference. Thank you, Anneli! It really does make a difference. My niece’s son is in Kindergarten and came home with a keen interest in Van Gogh. 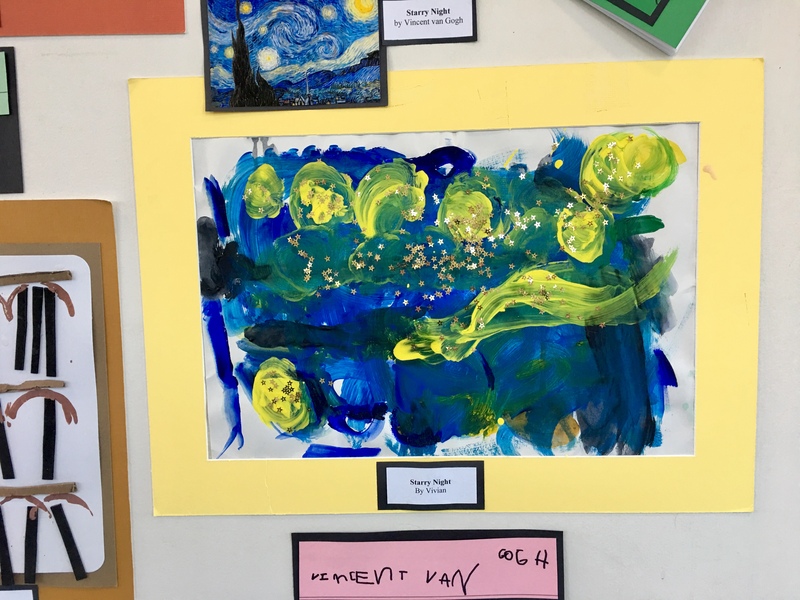 He was thrilled with his own rendition of Starry Night that he made at home after class, and talked into a video all about Vincent Van Gogh. Who cares that he was only 5 yrs. old? 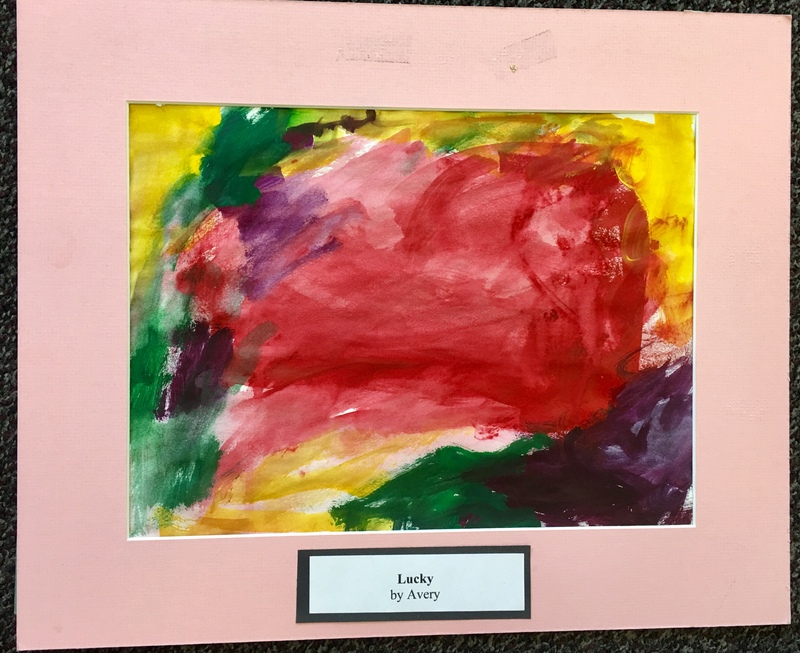 He already had a good start in art appreciation from Kindergarten, and I see you bringing this out in other kids. We should never talk down to them and assume they are too young to appreciate things like this. I’m so happy you are doing this for the kids. A gold star for you, Jennie! What a wonderful story! And yes, who cares if he is only 5 years old! 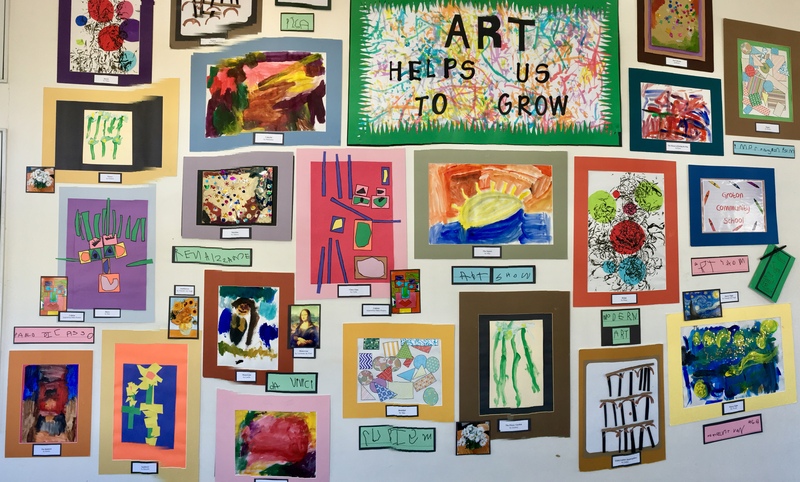 Art appreciation and expression at an early age lasts a lifetime. 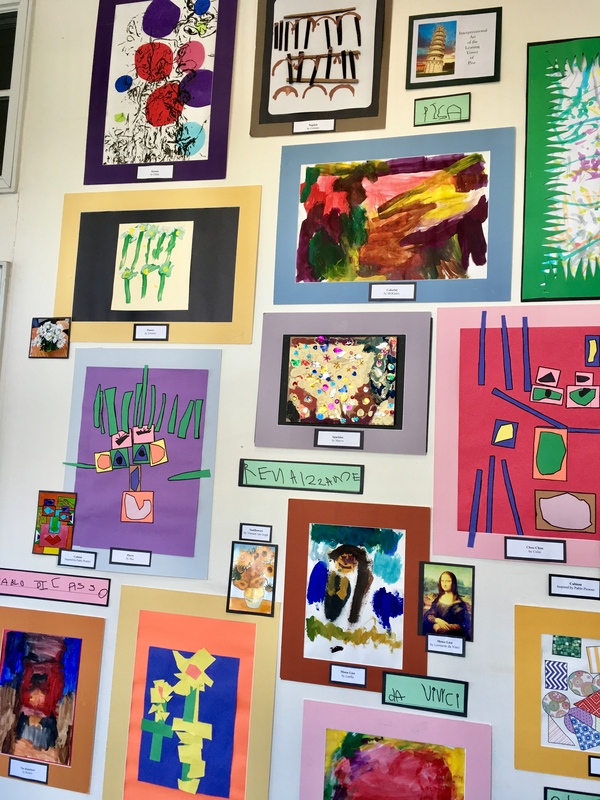 Have you taken your grandson to an art museum? Also, never talking down to children is very important. E.B. White makes a point of never writing down to children. I think art falls into the same category. Thank you, Anneli! My grandson (grand-nephew, actually) doesn’t live near me, but I’m sure his parents take him to those places. I’ll check with them. I know they have a science museum that is also child oriented. This is an interesting perspective. It would never occur to me to name a personal painting, mostly because I’ve never painted. 😉 What a wonderful idea. A giant esteem builder. Wonderful. Their first gallery showing! How exciting for them!! Jennie, this is one of the best examples of teaching I have ever seen! That is so nice, Charles. Coming from you, it is quite an honor. Jennie continues to offer the world excellent examples of the finest teaching! what a beautiful experience! moves me deeply. We care about the same things. Thank you, Michele! That is so kind. We do care about the same things. Wow, this is incredible!!! You are so amazing and the children are absolute geniuses! There is so much to be proud of. 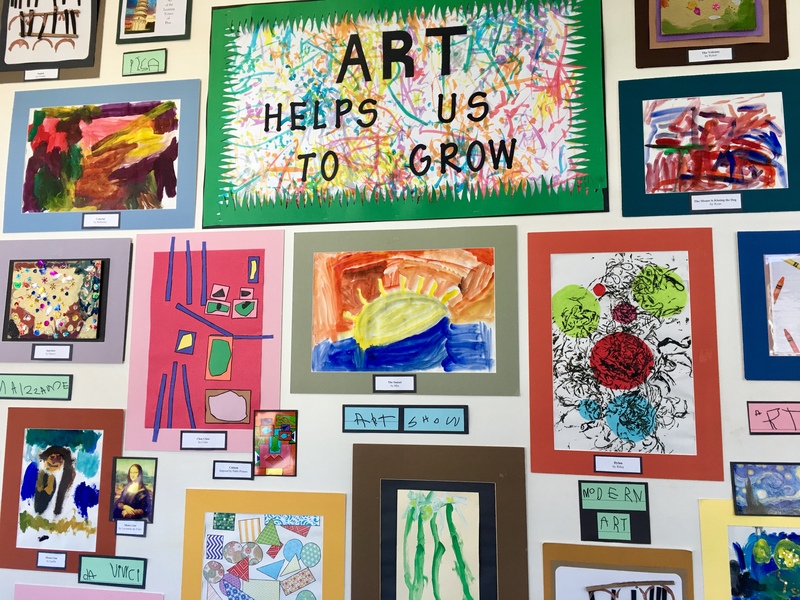 These children will all be great artists, whether as a hobby or as a profession some day. Such amazing talent. I hope that the parents save all of these forever. I love that this will be displayed in a public place rather than being only seen in the classroom. What a wonderful gallery it is. Yes, being there for the whole town and surrounding communities to see makes it all the better. I’m so glad you enjoyed the gallery! I love your (he)art shows, Jennie. I especially am drawn towards (pun not intended!) 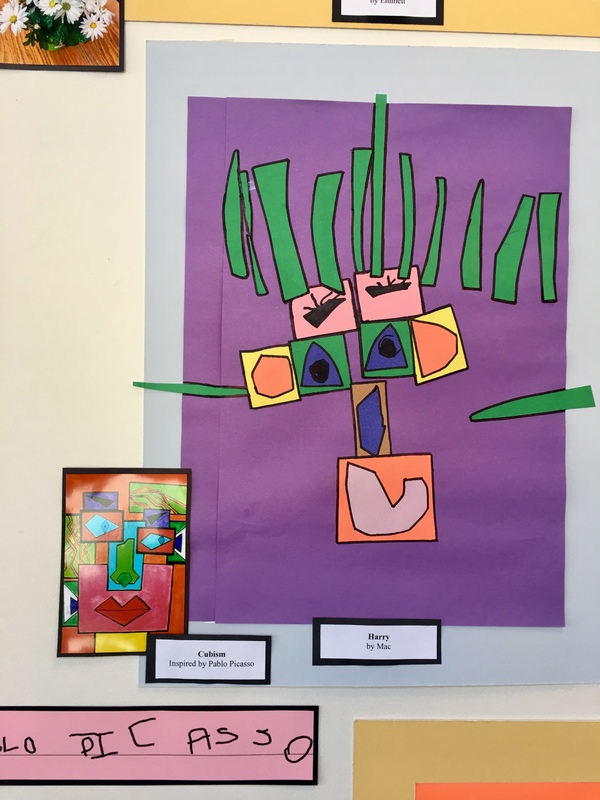 “harry” – cubism is more complex a process than is commonly thought, so it is actually quite sophisticated for one so young! I love your term (he)art, Laura. Always have. So thank you for that! Thank you for commenting on “Harry”, because 1) it is one of my favorites, and 2) it was one of the most difficult pieces of art to create. I’m so glad you noticed! Wow, that’s great work, a wonderful project and it’s so good to see community support added. 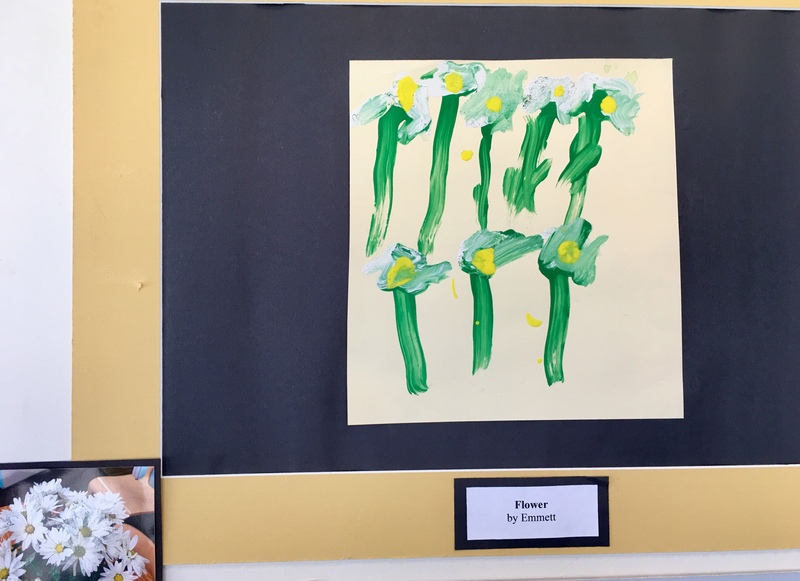 Nicely done, Jennie and all the budding artists. I’d hang any one of those pictures in my house! Love the vibrant and generous use of color! I would, too! 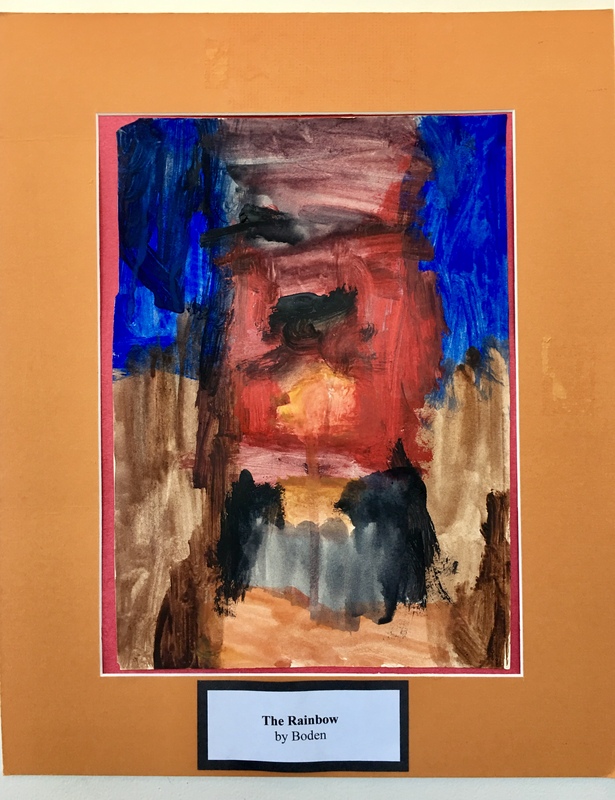 Today we had our field trip, and I asked some of the children if I could buy their art. Beautiful colors! Thank you, KC. The grand finale, you mean! My wife is an artist; i envy anyone, especially kids, than can create such beauty. It was definitely grand! How wonderful that your wife is an artist. Children are unencumbered with doubts and worry about their skill. I think that freedom lets the creativity flow. Thank you, Hook. I’m so glad you enjoyed their art, Michael. Many thanks.